Inscribed, perhaps by the artist himself, on back of original canvas since relined but used as backing: The/Portrait of James Northcote, R.A./Painted by himself aged 81/1827. Northcote MS Register in NPG library lists under 1826 a three-quarter-length sitting in a chair painted for Mr Hillman, presumably the portrait, signed and dated 1826, at Christie's 11 November 1983 (177), three-quarter-length turned half-left. NPG 147 is a variant in profile painted the following year, according to the inscription on the back, and given to Rogers by the artist himself: 'This Portrait was given me by Mr Northcote for the purpose of being engraved for the second series of his Fables which I published after his death 1831' (letter to Scharf 12 April 1862 signed E. Southey Rogers senior Queen's private Messenger). Northcote Fables, second series was actually published by John Murray in 1833. Northcote's profile, with the addition of a cap, was used in the double picture of Northcote painting Scott 1828. 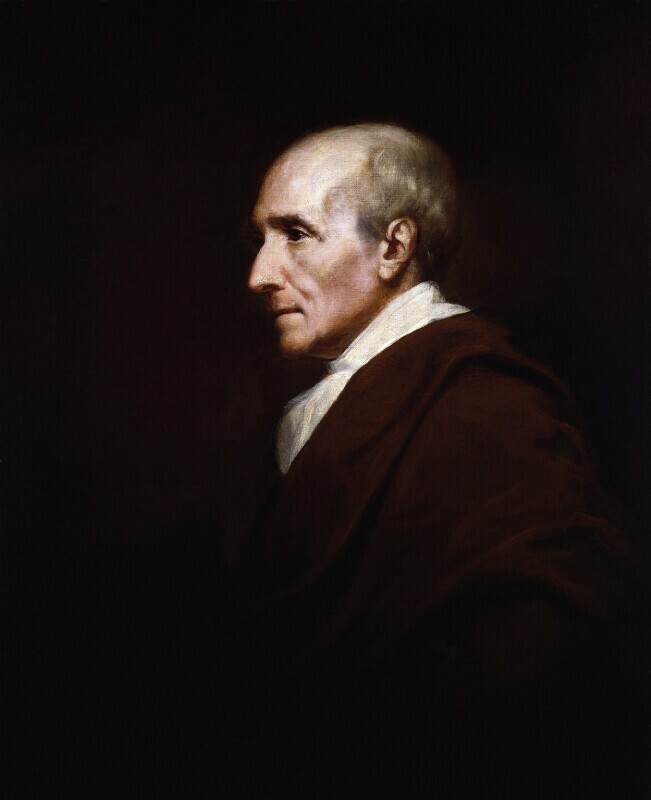 The portrait was also used by John Scarlett Davis for the group 'Interior of the British Institution' exhibited British Institution 1830 and sold Christie's 24 October 1958 (62), now Yale Center for British Art, New Haven. Head and shoulders in profile to left, brown coat, white neckcloth and cravat, scanty grey hair, dark eye, sallow complexion; plain dark background. The artist; E. Southey Rogers from whom bought 1862. Stipple by Cook in The Ladies' Monthly Museum, 1 November 1826; wood-engraving by Thomson published in Northcote's Fables (2nd series 1833), title-page.